Well, here I am back again after the winter break sharing thoughts and experiences for the upcoming gardening year! Let’s hope it is going to be a more moderate one than last year’s. The weather this past winter has not been as bad as last year. Who can forget “The Beast from the East?” February has seen record temperatures which prompted the sound of many lawn mowers in the vicinity. Snowdrops and crocus are all finished. Daffodils are bursting out. You could be forgiven for thinking Spring has arrived but as my mother would have said “we will probably pay for it later.” Temperatures have returned to a lower level but are still above the seasonal average and it is heartening to see more of the sun and experience the lengthening days. As I sit here writing this, we are experiencing some short, sharp showers which, pardon the pun, puts a dampener on things for a while. No doubt all of you will by now be thinking of sowing seeds to get things off to a good start and I’m no different. If you haven’t completed your seed order, it’s not too late or you can pop into one of the local garden centres. All have clearance sales on and bargains are there to be had. A tip for your next seed order: I managed great savings by purchasing on Black Friday. Don’t forget to bear in mind what you would like to enter into the flower show which is a week earlier than usual this year. I have already made sowings of onion in February and this month, three varieties of tomato, Sungold, surely the sweetest variety of all, Golden Sunrise, a yellow variety great for salads and grilling and San Marzano, great for cooking. Together with the tomatoes, I have also made sowings of peppers and cucumbers. With the plant sale scheduled for May 4th this year, I have sown extra of all of these. It would be great if you could do likewise. Last year’s sale was a great success and we are hoping this year’s will be even more successful. As the month progresses I shall be making sowings of sweet corn, Brussels sprouts, cabbage, leeks and lettuce in the sparkling clean greenhouse which was one of those winter jobs I did manage to get round to! Speaking of winter preparation, all of my vegetable beds are available for planting and those on my allotment have been covered since the autumn so I am hoping to get early plantings of onions and sowings of carrots, beetroot and parsnip later this month. As far as the formal garden is concerned, my attempts to repair the ravages of last year’s drought have been pretty unsuccessful. I am undecided whether to redo each of them or purchase new turf with which I can patch the affected areas. My borders have been afflicted for some time with an inundation of wild strawberry which manages to root itself very cleverly in the very centres of my bedding. The grandchildren do enjoy picking and eating the tiny fruits but they have to go and to that end, I have completely dug out my largest bed and am in the process of replanting with some existing plants from that bed but also with stock raised by myself in the summer/autumn of last year together with some bought in examples such as alliums, lilies and agapanthus. With an eye on the flower show, I am about to start off dahlias in pots from which I can take cuttings and hence increase my stock. No doubt you will remember last year, the Hort Soc had pollinators as its theme for the year supported by talks, films and a bee walk on the subject and I hope many of you will have or be about to include something in your garden to make life easier and increase the level of these creatures. This year the chosen theme is Climate Change. Most people I know think it irrefutable that the climate is changing. I remember my mother in the sixties moaning about climate changes although she did not call it that and blaming the atom bomb! I, as a know-it-all teenager at the time, dismissed such observations out of hand but now realise that although she may have attributed it to the wrong cause, she had witnessed in her lifetime perceptible changes to the climate. One leading organisation in the field has proclaimed “we are the first generation to realise what we are doing to the planet and we are the last generation able to do something about it.” A sobering thought indeed. Garden as organically as possible with the aim of eradicating chemical use. Encourage pollinators into your garden. Install rainwater collection devices. Compost as much of your own material as possible: your compost will keep your soil in good heart which, in turn, will produce healthier and better crops. Recycle all that garden plastic material so that it does not end up in land fill. If you have any further suggestions, drop me a line and I’ll share them with everyone. Wednesday 13th March 7.30pm, Wellow Village Hall: a talk by Tony Davies entitled “Space and Climate Change”. There will also be “climate-change-friendly” plants for sale. Wednesday 3rd April, a visit to Downside Nurseries at Westwood. Details tba. 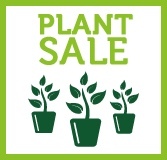 Saturday 4th May 2-4pm, Wellow Village Hall: the annual Plant Sale. Tea, coffee and cakes available. Saturday 6th July during the day and NEW to Wellow, “Best Gardens in Wellow Competition” (this is not an open gardens event – only the judges will be going around). Followed by the Annual Garden Party to be held at Cranborne, Wellow at 6.30 -9pm. The results of the earlier competition will be announced at the party. With the Easter weekend and its gardening potential almost upon us, it’s time for the annual reminder about the Hort Soc plant sale – which this year is on May 12th at the Village Hall 2-4pm. For new members, or those who haven’t been before, the Plant Sale is basically a plant bring and buy sale.